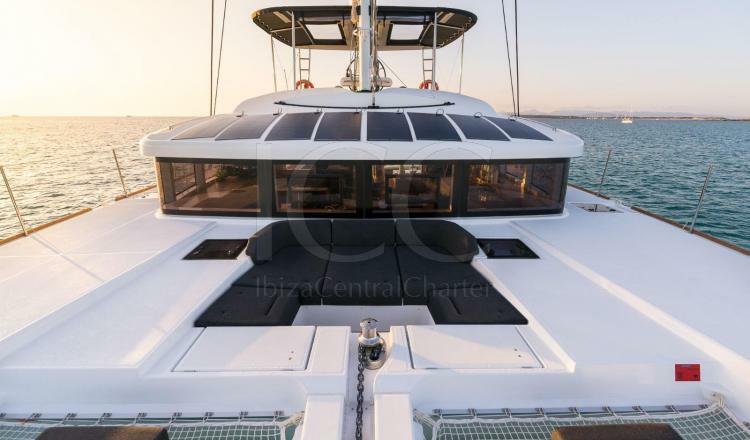 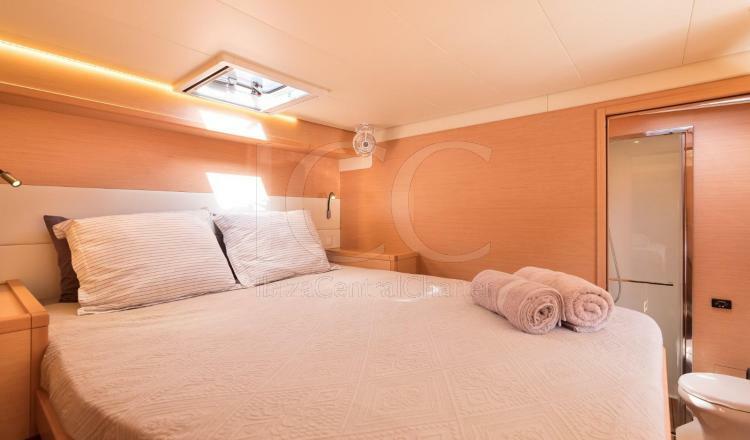 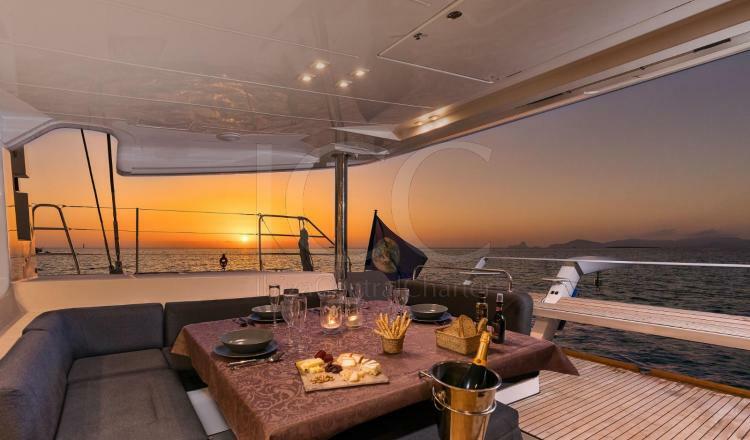 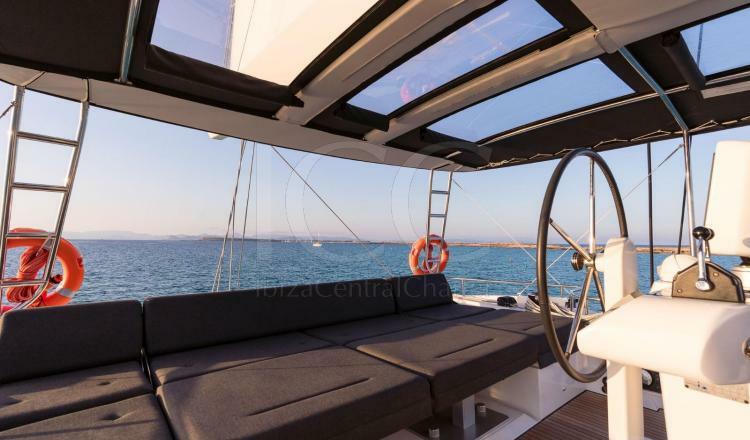 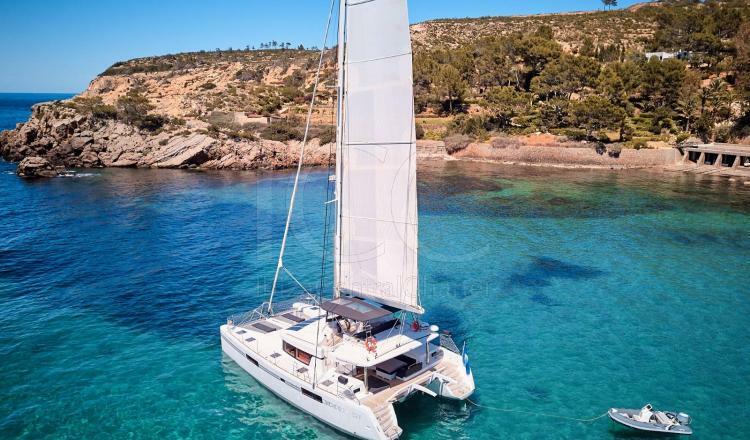 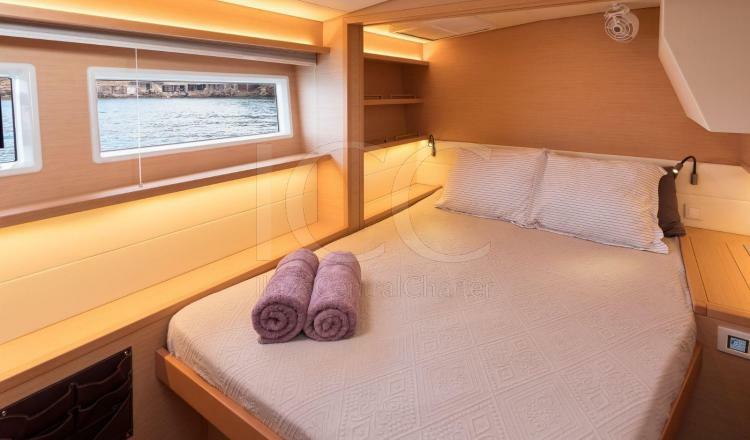 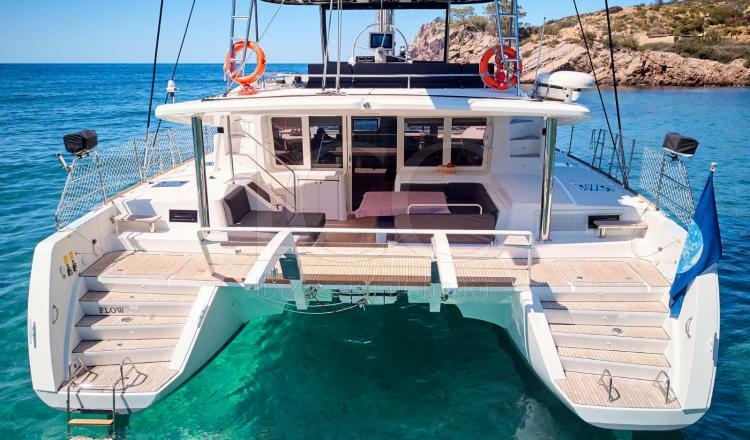 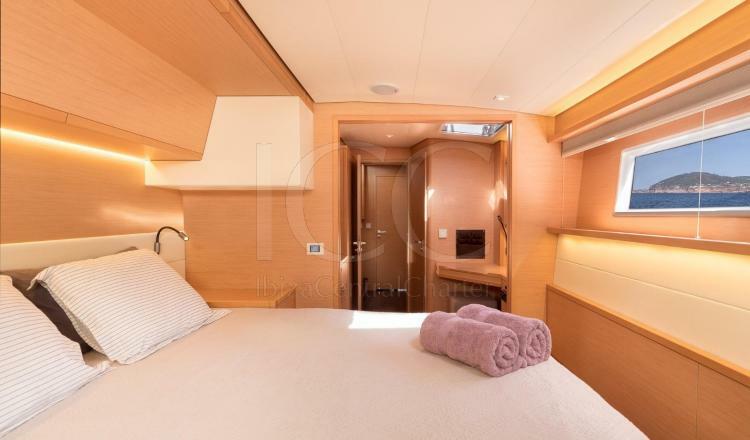 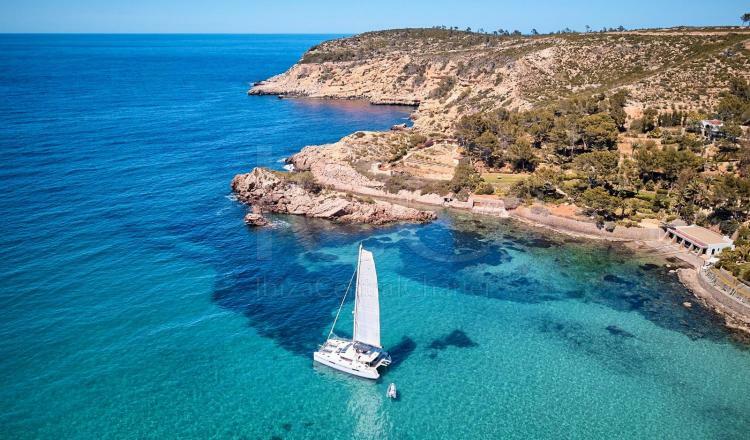 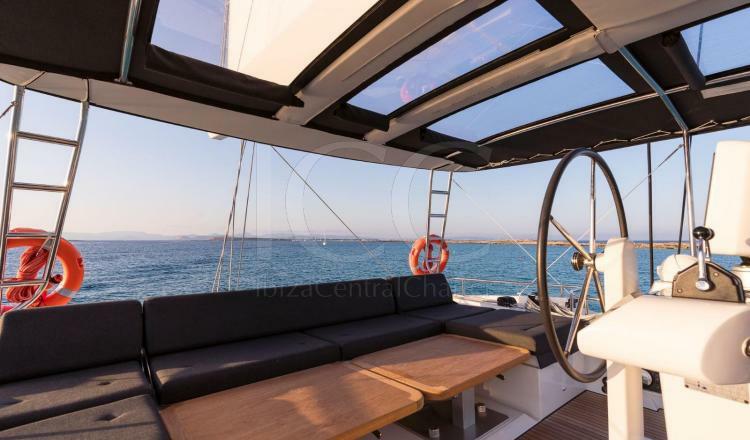 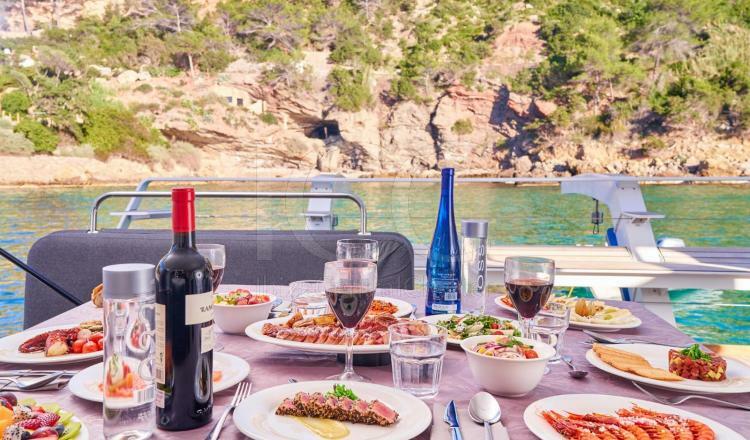 Catamaran ideal for those who wish to enjoy a few days of holidays with family or friends through the crystal clear waters of Ibiza and Formentera. 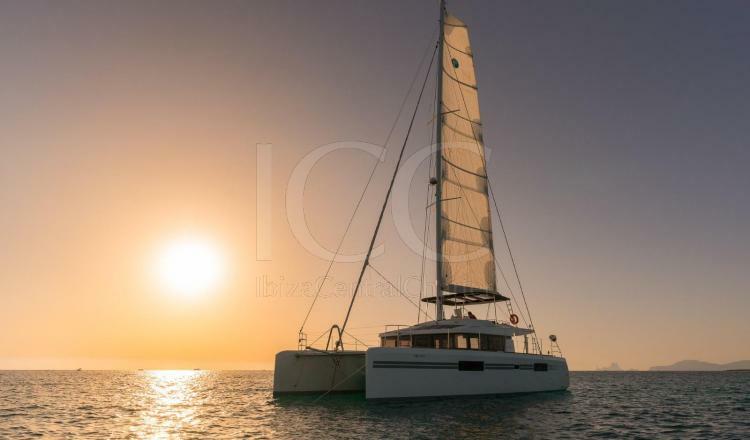 If you want to ensure an extraordinary vacation and value an excellent on board service, then this is the catamaran you are looking for. 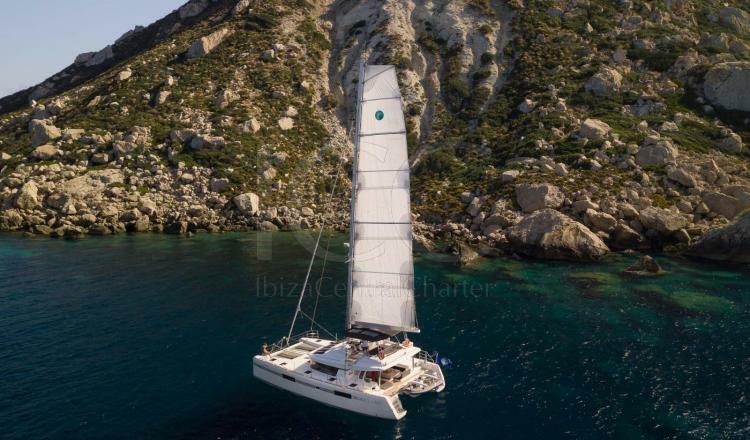 Feel the pleasure of sailing in the majestic Lagoon 52F. 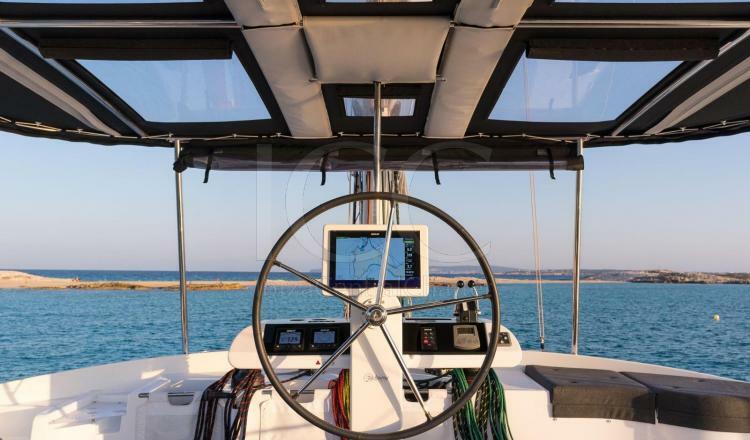 It is a boat very comfortable and stable in navigation thanks to its well balanced sail that gives much control and smoothness during navigation. 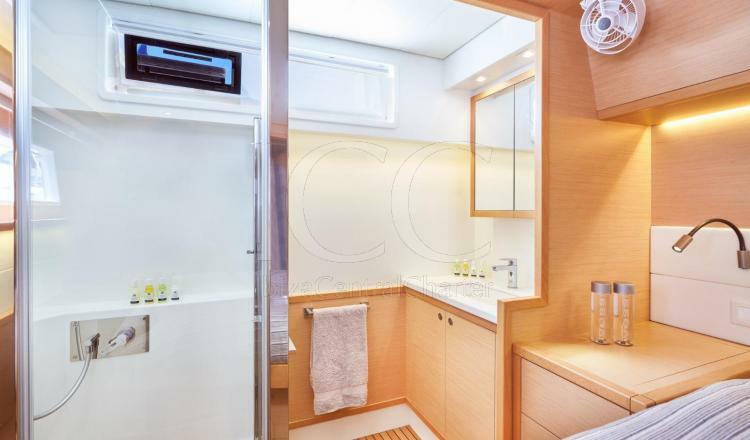 It stands out for its spaciousness, habitability, comfort, stability, elegance and safety, which, together with the finishes of the equipment, will make you live an unforgettable experience worthy of repeating. 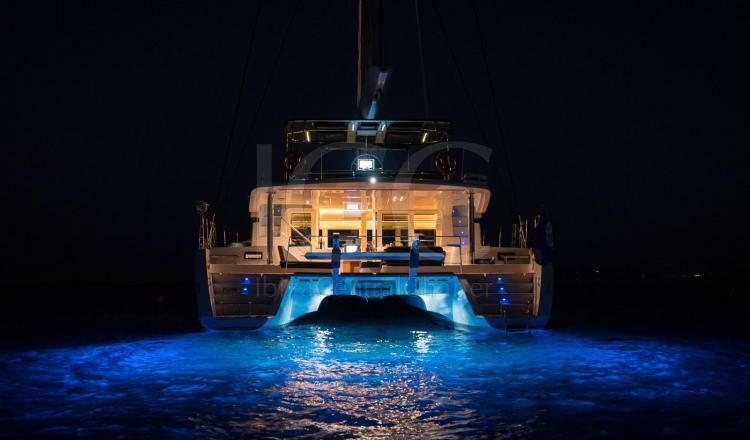 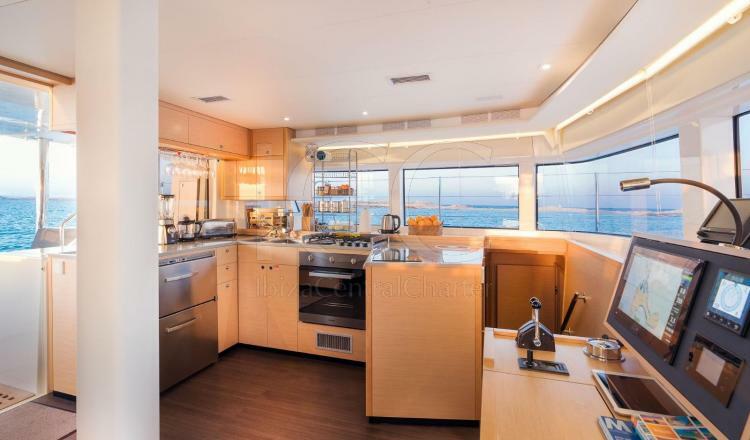 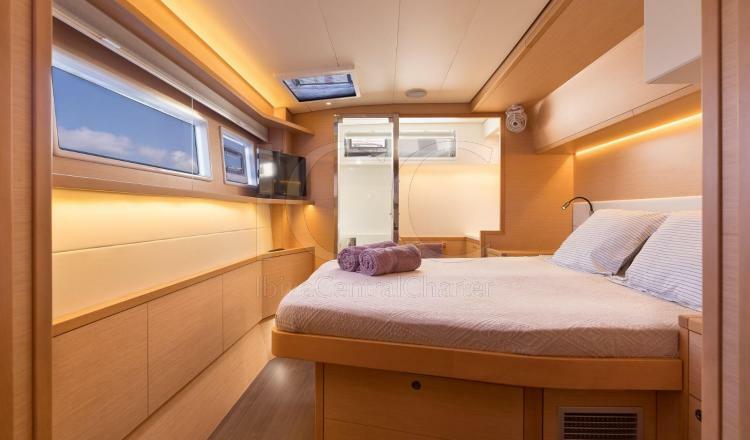 The 16 meters length by 9 meters make the catamaran a comfortable floating villa of 200 square meters, divided into three environments that make the stay and navigation a gift for the five senses. 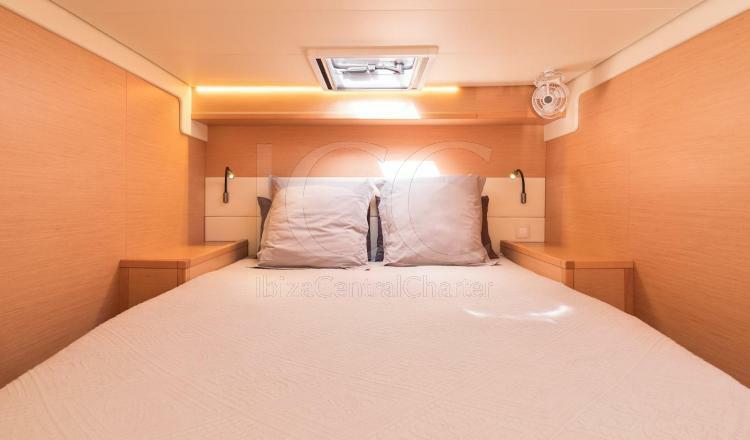 New and fully equipped, the catamaran has four luxurious suites with 160 beds, full bathrooms and independent air conditioning. 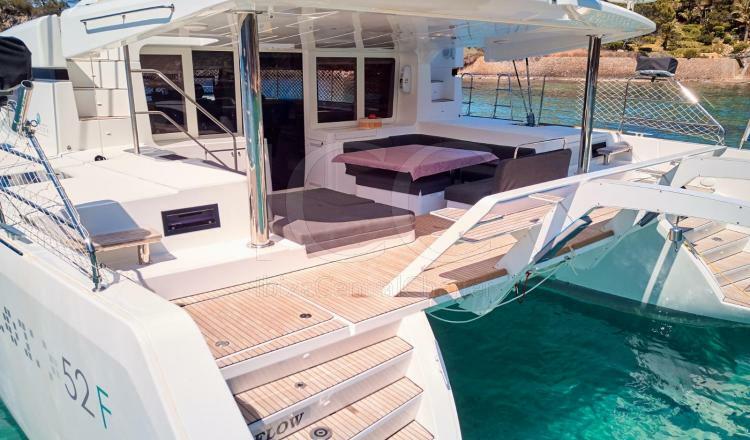 So it guarantees that a group of up to 10 people have a comfortable and safe trip. 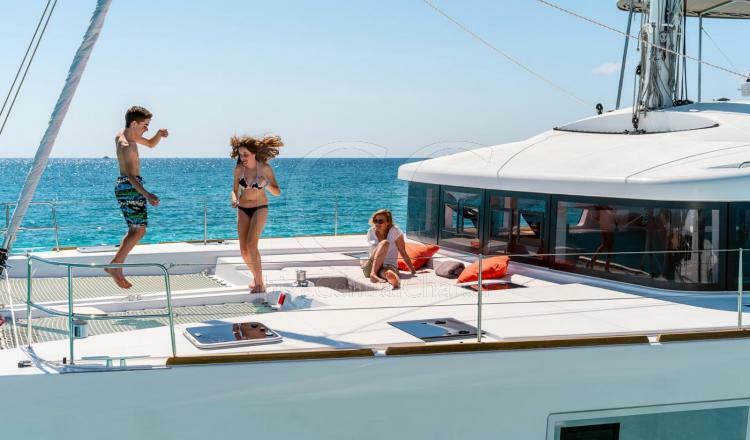 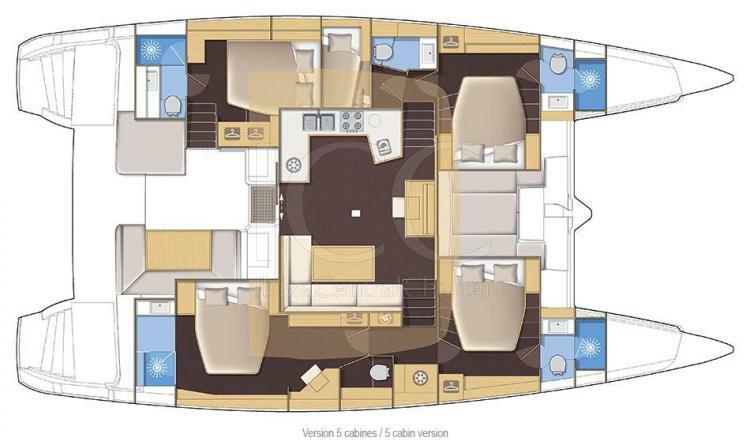 Externally, it highlights its large sundeck in the bow designed to sunbathe and relax. 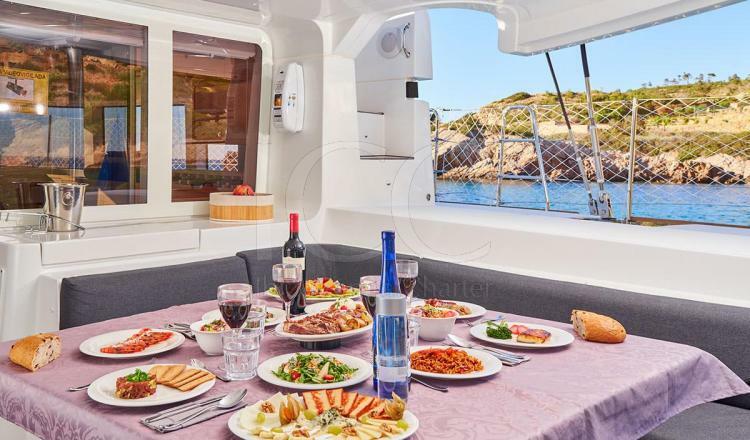 Also noteworthy is its stern, wide and well integrated, designed to eat and relax in the open air. 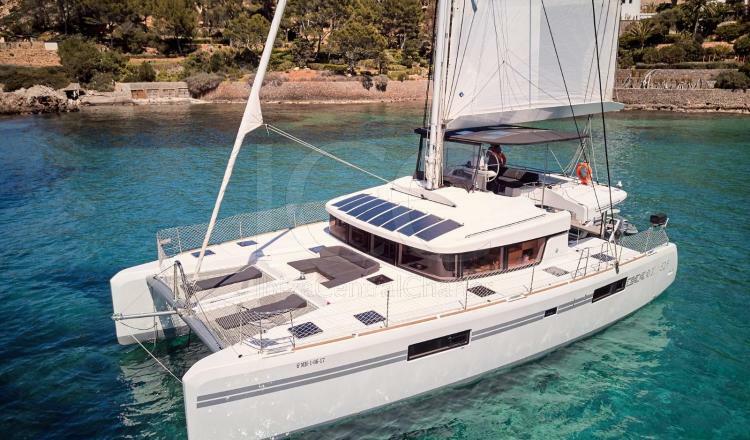 In addition, it has a large 4-meter dinghy to make landings comfortably.